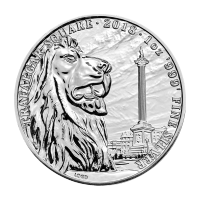 Fourth in the royal mint of Britain’s Queen’s Beasts series, this coin is both beautiful and rich in British symbolism. Das Einhorn auf der Rückseite scheint freudig über das schottische Wappen zu springen, es wird als Gefährte des gekrönten Löwen angesehen, mit dem er in der schottischen königlichen Armee Wache steht. The reverse frame is emblazoned with the coin’s ‘Unicorn of Scotland’ title, as well as the year of issue, 2018. 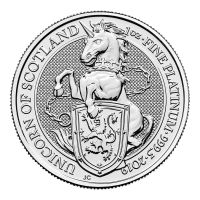 Rückseite Das stilisiertes Bild eines Einhorns, welches ein Schild mit dem Wappen Schottlands trägt und die Worte "Unicorn of Scotland 1/4 oz fine gold 9999 2018" (Einhorn Schottlands 1/4 oz feines Gold 9999 2018). 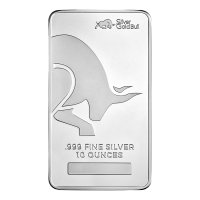 Das stilisiertes Bild eines Einhorns, welches ein Schild mit dem Wappen Schottlands trägt und die Worte "Unicorn of Scotland 1/4 oz fine gold 9999 2018" (Einhorn Schottlands 1/4 oz feines Gold 9999 2018). 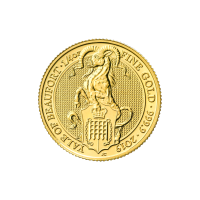 1/4 oz Goldmünze - Queen's Beasts (Die Tiere der Königin) | Einhorn von Schottland - Royal Mint 2018 Order your 1/4 oz 2018 royal mint Queen’s Beasts Unicorn of Scotland gold coin from our shop online and we’ll make sure you pay the lowest price possible! 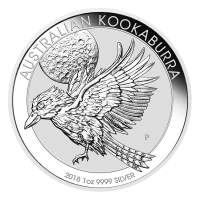 Fourth in the royal mint of Britain’s Queen’s Beasts series, this coin is both beautiful and rich in British symbolism. Das Einhorn auf der Rückseite scheint freudig über das schottische Wappen zu springen, es wird als Gefährte des gekrönten Löwen angesehen, mit dem er in der schottischen königlichen Armee Wache steht. The reverse frame is emblazoned with the coin’s ‘Unicorn of Scotland’ title, as well as the year of issue, 2018. 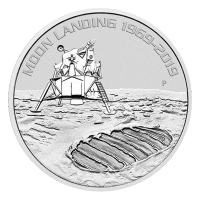 Both of the coin’s featured images were designed by royal mint creator extraordinaire, Jody Clark, who’s striking likeness of Elizabeth II can be seen on the coin’s obverse. 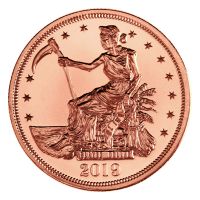 Surrounding this detailed portrait is her Majesty’s full title, as well as the coin’s denominational value. Celebrate time honored British symbolism, in the form of the Queen’s Beasts, who faithfully presided over her inauguration to the throne in 1953. 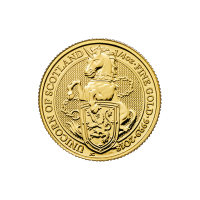 Advance your portfolio with this artful blend of history and legend when you purchase your 1/4 oz 2018 royal mint Queen’s Beasts Unicorn of Scotland gold coin today!